Over the past few years we have focused a lot of energy on taking our character animation to the next level. Sometimes simple, herky-jerky animation it’s perfect for the joke we are telling – like it was in ‘This Land’. In ‘This Land’ we used the same marching dance over and over and over again. It worked because the underlying joke was that all of these politicians are the same. However, with ‘Time for Some Campaignin’ the goal was to highlight each candidates unique qualities and the way a character MOVES is another opportunity to showcase their personality. One of the characters we were most excited to animate was Obama’s magical stead! However, we don’t just rush into animating – that could be disastrous. Before we do any actual animation we do what is called a “pencil test”. The pencil test gives us the opportunity to nail down every movement and make sure we are happy with it before beginning the time consuming animation process. Check out this pencil test next to some completed animation. 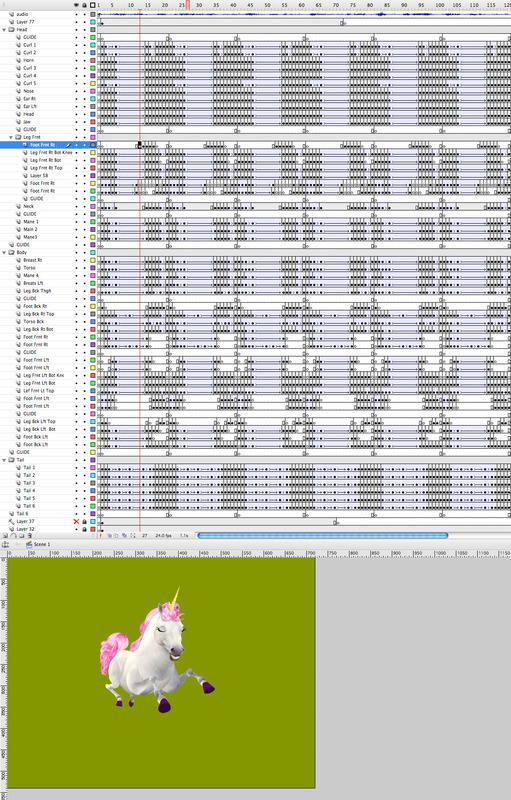 Animation is the most intense, grueling part of the process. Creating a few seconds of animation can take days. It is the dedication and love of the artform that drives our team through the long days and nights to bring this work to you! This entry was written by paulhanges and posted on July 14, 2008 at 2:00 pm and filed under Election 2008. Bookmark the permalink. Follow any comments here with the RSS feed for this post. Post a comment or leave a trackback: Trackback URL. Amazing! Seriously, they keep getting better election after election. What do you guys use for the animation? Flash? Awesome. I’m an animator too and now I’m workin’ on a video like yours. Hope to obtain the same feelin’. Anyway, great job! You’re GODS! nice animations. i love cutouts! I�m not trying to embarrass you, but do you have any embarrassing guilty pleasures?